"Value for money. would recommend." "A really good installation service and the summerhouse looks great." The 12' x 8' Contemporary Garden Room Summerhouse with Side Shed combines a beautiful summer house with a handy side shed for storage options. The summer houses' fully glazed bi- fold doors open fully to 170cm, which allows maximum access into the room, as well as allowing plenty of air circulation in the summer. 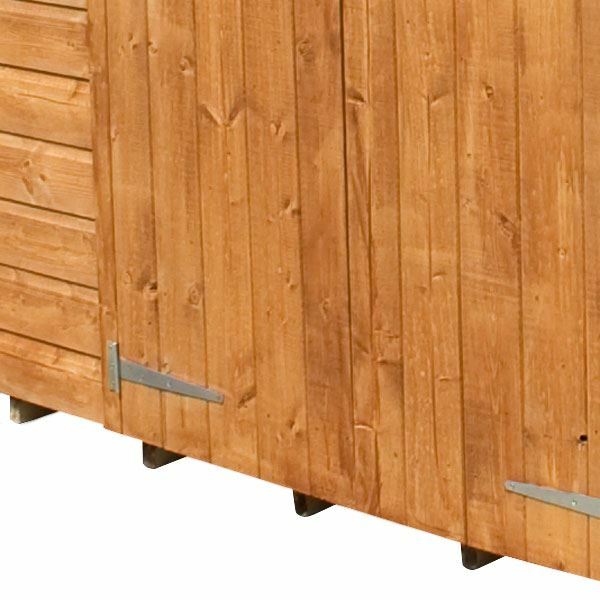 The quality tongue and groove cladding panels ensure the wooden summer house and shed are kept as moisture resistant as possible, as well as a strong and hard wearing build. The roof of the building slopes from the front to the back to aid water dispersion. The clever use of a fascia makes it appear as though the roof is flat. The wooden side shed is a useful addition to the summer house, and can be used for storing plenty of items inside when not in use. 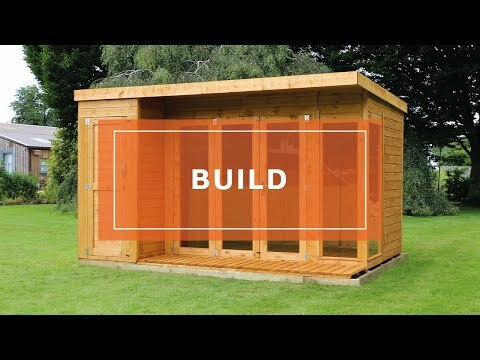 This building is modular meaning that the side shed can be constructed on either the left or right hand side of the summerhouse. Thank you for leaving your feedback, we take all feedback very seriously - good or bad. Our Reply:Good afternoon.Thank you for your feedback. We take all feedback very seriously and it is great to know that you are satisfied with your purchase. Review:Shed is of reasonable quality, all elements are one nailed, and some elements needed further fixing. Review:Can see daylight where panels do not meet all the way up. Professional builders who erected it not at all impressed. Review:I have finally put the summer house up that supplied me two weeks ago. I was very pleased with the summer house until the continuous and heavy rain this Monday. Review:Product is good but we were told that we could decide if we wanted it left or right handed, this is NOT the case!! We now have a right handed summerhouse when we actually needed a left handed one. 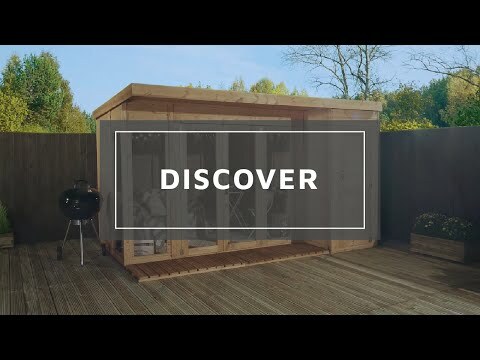 We're glad to hear your summerhouse was easy to install, and that our instructional video was helpful! Review:The Summerhouse went together well. Especially when considering the multitude of components. As a 70 year old, the work involved was demanding, although for those much younger it should be much easier. Thank you for your feedback and taking the time to provide a photo of your assembled Summerhouse, I am glad that the assembly process was relatively straightforward despite the demanding work involved. Thank you for your review and for taking my call just now. Please accept my apologies for the issues faced and I'm glad we were able to make you an offer that leaves you satisfied with the service received. I am glad that you are really happy with the Summerhouse and Side Shed. Review:The reasons are poor instructions and video and varying quality of contents. Review:Value for money. would recommend. It is wonderful to know that you are pleased with the quality and value for money of your summerhouse and I am sure you will have many happy years of use from it. Thank you again for your much appreciated feedback! Review:I haven't yet put this up - but the quality of the pieces is great. 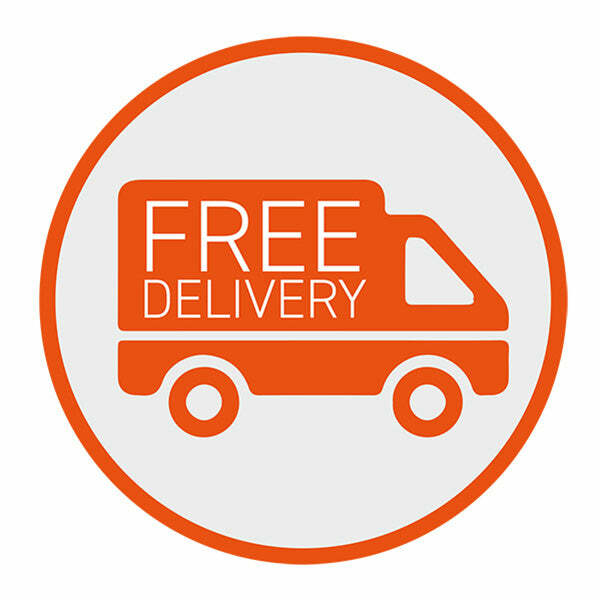 Full instructions, screws, handles & felt supplied. I am glad that so far, you are happy with the service received and also with the quality. I am sure that once erected, you will have many happy years of use from your summerhouse. Thank you again for your feedback. Review:Superb quality, value for money. Thank you very much for your excellent feedback and for sharing the image of your new Contemporary Summerhouse, it looks brilliant! Review:Haven't received it yet!! So not a true rating. Review:It was easy enough to purchase online - very disappointed with the product and the after sales service. The photos show the panels that were too short! Review:Easy to erect,all panels in good condition,just a couple of confusing moments with the door,glad the windows were protected inside and out. Thank you very much for your feedback, it's great to hear that you are happy with your new summer house. Thank you very much for providing us with an image it looks brilliant! Review:Good but doors could of fitted better. Review:As above, a really good installation service and the summerhouse looks great. It is great to know that you are happy with the installation service and with the quality of your summerhouse. Thank you again for your fantastic review. Review:Still to be built so can't tell. It is great to know that you are happy with your summerhouse and I am sure you will have many happy years of use from it and I thank you again for your great review. Review:Good reliable company, and a good build. I am glad you found Waltons to be a good and reliable company and that you are pleased with the quality of your summerhouse. Thank you for sharing your photo - it looks lovely! Thank you very much for your briliant feedback! 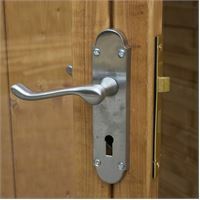 It is great to know that you are happy with both your summerhouse and the service Waltons provided. Thank you for your positive review - it is much appreciated. Review:Very good quality build. It looks very pleasing and was good value. I am delighted with my purchase. It is great to know you are very happy with the quality and value of your summerhouse and that you are delighted with your purchase. Thank you again for your wonderful feedback! It is wonderful that you are so pleased with the quality of your summerhouse and that you cannot fault it. Thank you again very much for your great review! Our Reply:We use the perspex as it is shatterproof styrene. We will take your comments on board and thank you again for your feedback! Review:There was a broken pane in one of the doors, but no hassle replacing it. Shed is larger than expected and summer house is sturdy and visually stunning, especially now painted. Our Reply:I am sorry we did not get things right first time around and I am glad we were able to help resolve this issue quickly. I am so pleased that you are happy with your summerhouse overall and it's sturdiness and appearance pleases you. Thank you again for your feedback. Review:Very good quality and better than expected result once I'd built it myself. Our Reply:It is wonderful to know that you are happy with the quality of your summerhouse and that it has exceeded expectations.